Give your everyday look an edge with this killer crop top. 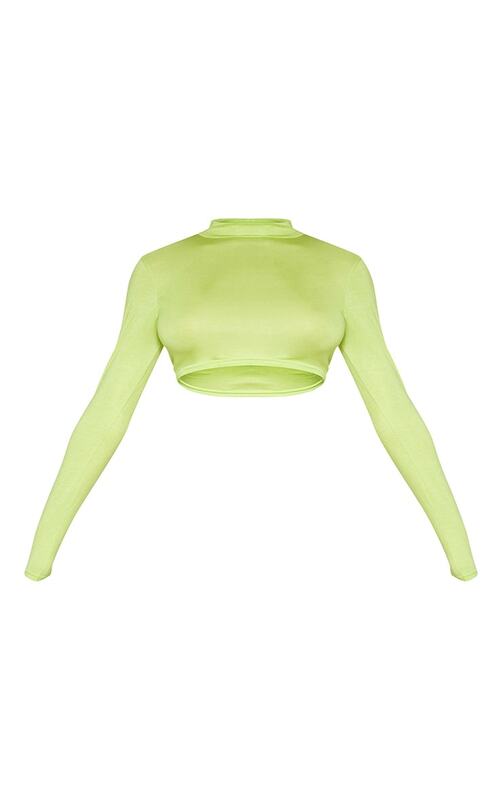 Featuring a neon lime fabric with long sleeves, a high neckline and a cropped length, we are obsessed. Team with cargo trousers and strappy heels for a cool look we're loving.